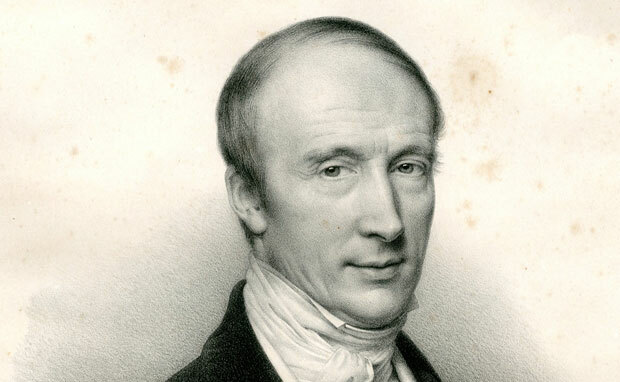 Augustin-Louis Cauchy was a French mathematician born on 21st August 1789 in Paris, France. He laid the foundation for modern day analysis and did many significant works in the field of mathematics. His early schooling was from ‘École Centrale du Panthéon’ which was considered to be one of the best schools in Paris at the time. Cauchy was a brilliant student attaining high grades in all subjects including Latin and Humanities. Cauchy enrolled in the École Polytechnique to become an engineer and finished his studies at the institute in 1807. After Polytechnique he went to ‘École des Ponts et Chaussées’ (School for Bridges and Roads) to do civil engineering. Augustin-Louis Cauchy being incredibly smart graduated from here with honors. After his graduation in 1810, Cauchy got a job in Cherbourg as ‘junior engineer’ where he remained for the next three years. Even while at this extremely time taking job, he managed to write three mathematical manuscripts which he submitted to ‘Institut de France’. Two of these manuscripts were accepted. When Cauchy was 23, his health began to suffer from overload of work therefore he decided to return to Paris to devote all his time to mathematics, a subject that was grabbing his interest more than anything else. Cauchy got an unpaid sick leave and worked on his mathematical work on various topics such as symmetric functions, symmetric group and many theories including theory of the higher order algebraic equations. He was also appointed as a member of the ‘Académie des Sciences’ in 1816. Cauchy was becoming immensely popular in the mathematical world for his outstanding works and ideas. He had proven Fermat’s ‘polygonal number theorem’ which had made him into a star among his peers. He got the position of associate professor of mathematics at Polytechnique in 1815 and by the next year he was promoted to full professor. There is not much to Cauchy’s personal life except that he got married at the age of 28 to Aloise de Bure and had two daughters. His career had been on a road to success in the current political situation in France but after 1830 things changed. In July 1830, France went through a revolution when Charles X was succeeded by Louis-Phillippe resulting in many riots in which the students of Polytechnique took part actively. These events turned around Cauchy’s situation completely which resulted in a halt to his mathematical work. Cauchy left France for some time but he had to take a decision of whether he was going to take sides with the new regime or not. He decided against it which cost him all his posts in Paris except for his membership of the Académie des Sciences. This did not stop him from pursuing further mathematical work so he went to Turin, Italy where he got an offer from the King of Sardinia for chair of physics which he accepted happily. He remained at the post for a year before he left for Prague to tutor Duke of Bordeaux till 1838. Their relationship as teacher and student was not great but Cauchy still tried his best to teach his pupil the most he could. Cauchy did not gain his academic positions again however tried to remain in touch with his roots till his death in 1857.